A good smoke shop is a smoker’s best friend. Sure, you can buy some of this stuff at big general-purpose stores these days, but the right smoke shop is more than just a place to get smoking paraphernalia at cheap prices. 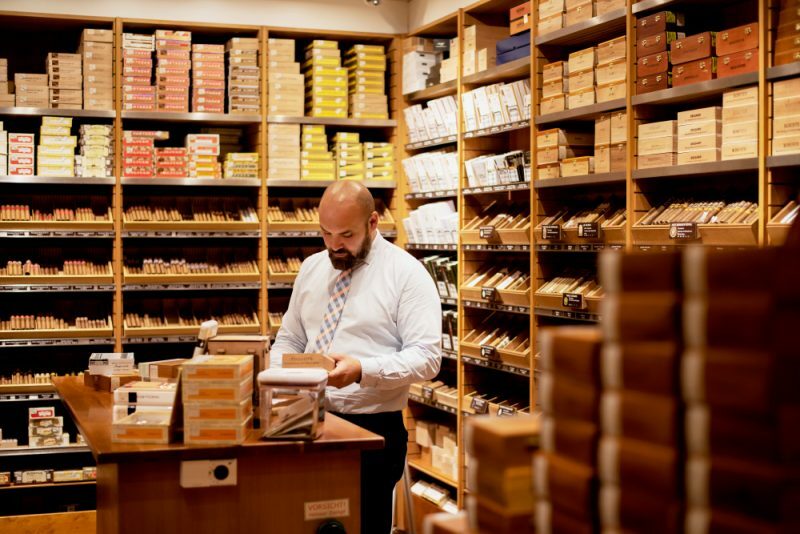 It’s a place to get advice, find superior quality products, and do all of your smoking-related shopping in one place, whether that place is a physical store or a hip online shop. Of course, not all smoke shops are created equal. Some are a whole lot better than others, and finding the right one is key if you want that superior smoke shop experience. Here are a few things to look for in your ideal smoke shop. A smoke shop usually has a more casual vibe than an ornate restaurant or a minimalist Apple Store, but that should never mean it’s any less clean. If you step into a smoke shop and find that it’s dingy, dirty, or foul-smelling, then you should step right back out. That’s a sign of amateurism, and it likely means that the other aspects you look for in a smoke shop — like a knowledgeable staff and great customer service — will be as absent as the cleanliness. And this doesn’t just apply to brick and mortar shops. Look for high-quality websites with crisp, clear layouts when you shop for smoking products online. It should be easy to view products, add them to your cart, and then check out. Maintaining a quality online presence is important, and you deserve a smoke shop that takes the time to do that. Why go to some second-rate shop? Smoke shops have great smoking products available at low prices (or, at least, good ones do). But so do larger and more general retailers. The real reason to go to your local smoke shop or to visit a website that focuses entirely on smoke-related products is to get superior customer service from knowledgeable experts. The right kind of smoke shop experience can turn you on to ideas and products that you might not otherwise have considered. Through in-person experiences, online chats, and a well-curated retail selection, you’ll get knowledgeable first hand advice from experienced smokers who have tried most — if not all — of the products that the smoke shop has on offer. Studies show that experiences salespeople boost sales for stores. Smart curation of superior products, great prices, and great support staff are hallmarks of the best smoke shops. Smoke shops focus on selling products for just one general type of activity. So when it comes to that one activity, they should have just about everything that you could ever need. A smoke should should be a one-stop shop for the complete smoking experience, according to experts at All in 1 Smoke Shop. This means that the shop should have a huge selection of everything from simple rolling papers to big-time bongs. The shop should carry recognizable and trusted brand names like Illadelph. And precious smoke shop real estate shouldn’t be taken up by shelves full of things which have nothing to do with smoking — at least, not unless the shop is really, really big. If you step into a smoke shop and feel like it has every different smoking-related product imaginable, then you’ve come to the right place. Smoke shops should feel focused on smoking (and not overlarge), but they should feel comprehensive when it comes to their specialty. Smoke shops are everywhere, both in the real world and online. It’s just a matter of finding the right one for you.